The first thing she showed them was a large, stuffed fruit fly. This impressed them. Then she flashed test tubes full of living flies. Fascination ensued, for she was obviously no ordinary person but rather someone with a deep grasp of what was important in life: stuffed animals and bugs. Later, she told them she was a microbiologist who studied the germs living in the flies’ stomachs. That was when the questions started. The teacher of these kindergarteners says she has never seen them as engaged as this, when they got to Skype a scientist. Her kindergarten class is in Venice, Florida, and the scientist was Nichole Broderick, an assistant professor of molecular and cell biology, who was Skyping from her UConn Storrs office 1,300 miles away. Broderick is one of 497 scientists who talked with schoolchildren last semester through a project called Skype a Scientist, started by a third-year graduate student at UConn named Sarah McAnulty. Aliens loom large in kindergarteners’ minds, and Broderick was pleased to use the alien question to introduce the kids to invasive species, which, she explained, are just like aliens but from other ecosystems instead of other planets. In other classes in other places, other scientists discussed the social lives of ants with middle schoolers; introduced fourth graders to the extreme environment of a Yellowstone geyser; and talked with high schoolers about the environmental consequences of war. The researchers hailed from all over this country, and the classrooms from as far away as Kyrgyzstan. But in every case they had been introduced by McAnulty. McAnulty spends most of her time studying bobtail squid in associate professor Spencer Nyholm’s biology lab. 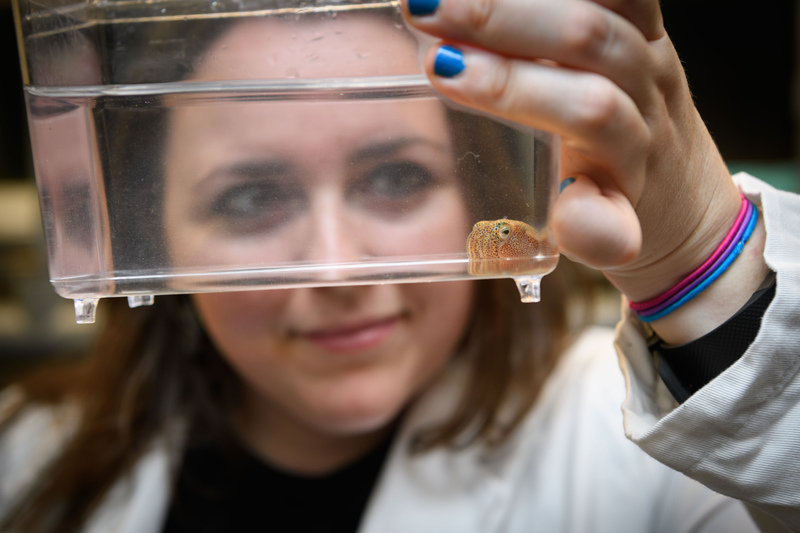 She loves science and is, in Nyholm’s words, a phenomenal graduate student, a self-starter who raises money and bobtail squid with the same dedication, for the lab depends on a steady stream of both. Late last year, McAnulty began thinking about politics, too. Because politics had begun to impinge on science. The country was divided like never before in her lifetime. Anti-intellectualism seemed to be on the rise, and even truth itself seemed under attack. Academic research in the U.S. depends on public funding, and public funding depends on the goodwill of the people. And somehow, that goodwill seemed to be eroding. She says this with shock, as if comparing scientists exchanging data sets to Big Tobacco manipulating medical trials is unthinkable. And until seven or eight years ago, it was. But something has changed in the public’s perception of scientists. “There’s a feeling that for U.S. science to survive, we really need to get people trusting scientists again,” says McAnulty. She’s chatting with me near the entrance to her lab in the Biology/Physics Building. Right next door is where she raises the bobtail squid. Bobtail squid are adorable, as cute as an invertebrate can be. Only a few centimeters long, with big eyes and eight short little legs, they can even glow in the dark, thanks to the colonies of bioluminescent bacteria that live symbiotically inside them. Nyholm’s lab focuses on the relationship between symbiotic bacteria and their hosts. McAnulty’s part of the research zooms in on the squid’s immune system and why it tolerates the glowing bacteria. Bacteria live in our guts, too, although they don’t make us glow in the dark. Studying the squid’s relationship with their symbionts could tell us more about ours. McAnulty has become an expert at drawing blood from the little mollusks. She says she doesn’t mind it nearly as much as she did when she worked with mice. “I felt bad doing experiments on mice. Something about their red blood. I don’t feel as bad with squid. And they usually come right back,” swimming off into their tank, leaving nothing but a vial of bluish-green blood behind. Wait – squid have blue blood? “It’s because of the hemocyanin,” she tells me. Like hemoglobin in our red blood cells, hemocyanin uses a metal to bind oxygen. But where we use iron, squid’s hemocyanin uses copper. As she explains this, the Pharmacy Building looms behind her. Its copper roof has oxidized to a rich bluish green color from exposure to rain and air. A similar chemical reaction accounts for a squid’s blue blood. She says she enjoys the back-and-forth with readers, and her answers are always informed by her own experience. McAnulty has spent a lot of time talking to colleagues about the public perception of science. The problem seems clear: How can scientists remake their public image from aloof to approachable? Many scientists aren’t all that great at talking about their work with nonscientists. Sometimes it’s because they think no one else will be interested in hearing about it. Other times they’ve been holed up in their lab talking only to colleagues for so long they’ve forgotten how to communicate with regular folks. Get two researchers from the same sub-field talking to each other excitedly, and even other scientists from another field can quickly lose the thread as the two specialists descend into a rarefied dialect of Deep Geek. McAnulty, however, likes talking about her research with nonscientists. She also has an intuitive grasp of marketing and outreach. She’d started the Tumblr so she could share her work more broadly, and she’d picked Tumblr because it reaches a younger, more female audience than other social media favored by scientists. Still, she knew that her Tumblr page was preaching to the choir. 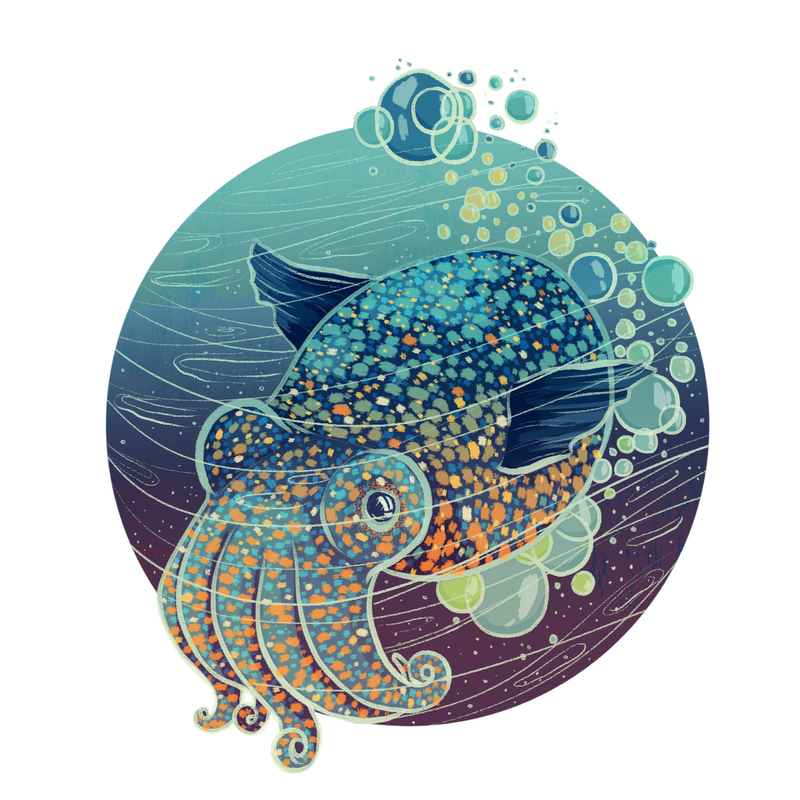 You don’t seek out scientists who study bobtail squid unless you’re already interested in squid. Most people are firmly ensconced in their own little bubbles. But kids are different. Before graduate school, McAnulty spent a year working in a diabetes biology lab in the Max Delbrück Center for Molecular Medicine in Berlin. The university hosts a “Long Night of Science” each summer, when it opens up the labs to the public, and families participate in science activities until late in the evening. The kids were always curious about everything. What if she could talk to school-aged children, children who were probably apolitical and just interested in cool ideas? One day she was chatting with a bunch of biologists on Twitter when the idea of reaching out to classrooms via Skype came up. “We just decided to do it. What’s the worst that could happen? We make some teachers mad at us,” she recalls. And so Skype a Scientist was born. McAnulty began reaching out to teachers through Facebook. Would you like to have your class talk to a scientist? she asked. She aimed especially for teachers in geographic areas that might be pretty remote from real-life scientists, but she replied to any teacher who inquired. It quickly became apparent that making teachers mad was not going to be an issue. “I can’t wait to do it again! 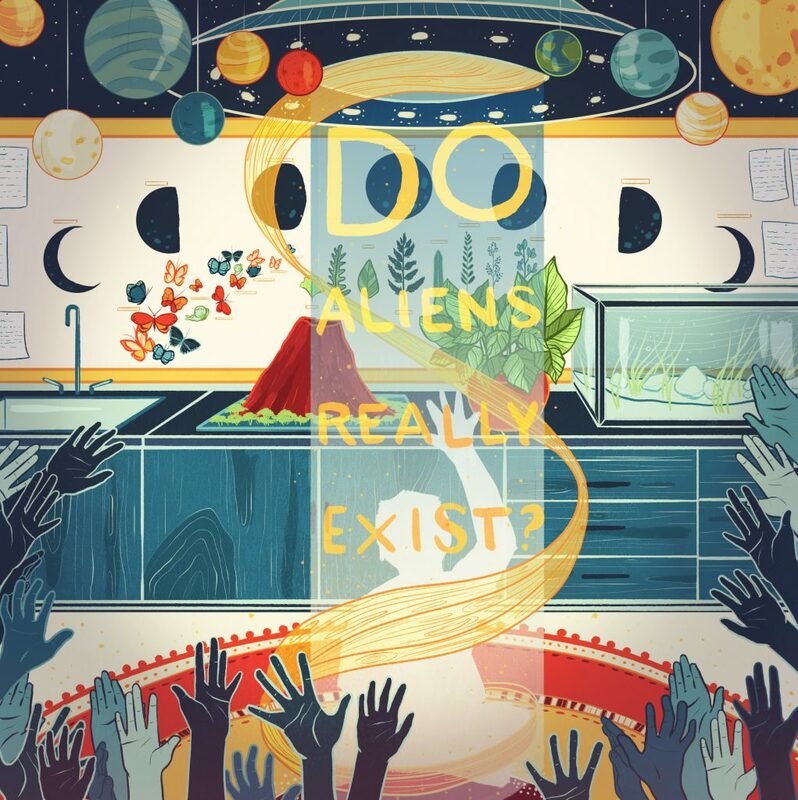 I’d recommend it to anyone in the school,” says Cathleen Francis, the kindergarten and first grade teacher in Venice, Florida whose class asked about aliens. 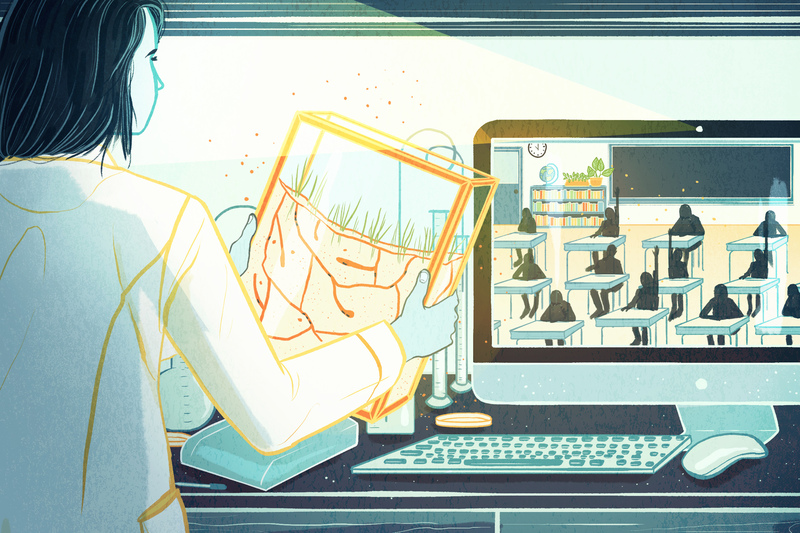 “Skype a Scientist is great for me,” says Trudy Fadden, a middle school science teacher in Vermont. “You have to build a relationship. And you don’t want it to be a dog and pony show, you have to make connections between the kids and the science.” That real person helps tremendously, she adds, even if they are only on a screen. Fadden had two scientists Skype her class, one from Rutgers University and the other from UConn, a graduate student in the Klassen Lab for molecular and cell biology named Emily Green. She has kept in touch with both researchers and plans to Skype them again next year. Fadden and Francis were early adopters, part of the first wave of teachers who simply answered Facebook inquiries. McAnulty would manually match them with a scientist in the right discipline and time zone. The requests kept coming. And then a teacher mentioned Skype a Scientist publicly at a conference in Texas and the Google sign-up form McAnulty had slapped together “just blew up,” she says. UConn scientists continue to be major players. College of Agriculture, Health, and Natural Resources graduate student Mauri Liberati did a total of nine sessions with one school. Three UConn biology professors – Nichole Broderick, Susan Herrick, and Ken Noll – have participated, signed up for more sessions, and involved more professors for this fall. They all say it’s fun, and it’s easy. Broderick says she enjoyed her Skype session with the kindergarteners as much as Francis did. “Having to explain concepts to 5- and 6-year-olds really makes you think,” she says. Can it really be this easy to change the public’s perception of science? Other scientists are running for political office, or demonstrating in political rallies like the March for Science last April. McAnulty attended the march. She says she wasn’t sure how she felt about it going in, but thought it was important to attend. “Finding truth is impartial, as far as left and right. But as long as the government funds science, and you have a political system opposed to truth, being on the side of truth is a political act,” she explains. But how does she, or anyone in science, know they really are on the side of “truth”? Science corrects itself and reverses course constantly. Bubbles burst. Paradigms shift. It’s an intrinsic part of the scientific endeavor that science is self-correcting. But this also is part of what makes the general populace distrust scientists; one day something is heralded as empirical truth that we should all heed. The next, it’s contradicted by a new piece of evidence. “This town is in the thick of the opiate epidemic. Three people died down the street from me this year. We’re a very rural school. Kids need to see there’s a big bright world out there.” People might distrust scientists as elitist, she continued, but people also want their kids to expand their horizons. McAnulty gets it. One summer she worked surveying bat populations in Pennsylvania and West Virginia, scoping out the site of a proposed wind farm. She saw the economic challenges in the region. She chatted with some of the locals. She knows that any national distrust of scientists is part of a much bigger malaise. “I don’t think this is the problem with the U.S. But this is a problem. I feel equipped, and I’ll try to fix it,” she says. And with a little luck, these Skype sessions will make an impression. And some school kids in West Virginia and Missouri and Florida and Vermont and all the other classrooms will grow up with the knowledge that science is a quest for truth about the natural world. It’s done by real people just like them. And because of that, science is imperfect and can always be worked on. If the kids believe it, they’ll grow into adults who support it. Maybe they’ll participate in the research enterprise, or use the scientific method in their daily lives. Or maybe they’ll just remember that day in fourth grade that they got to ask a real scientist whether squids fart, and that she laughed with them, not at them. And that might be the best outcome of all. NPR Don’t Phone A Friend. Skype A Scientist! Public Radio International What does a scientist look like? The 'Skype a Scientist' program helps schoolkids find out.